Worldwide mobile payment users will surpass 141.1 million in 2011, a 38.2 per cent increase from 2010, when mobile payment users reached 102.1 million, according to Gartner, Inc. Worldwide mobile payment volume is forecast to total $86.1 billion, up 75.9 per cent from 2010 volume of $48.9 billion. Despite these strong growth projections, Gartner analysts said the mobile payment market is growing slower than expected. Gartner expects Short Message Service (SMS) and Unstructured Supplementary Service Data (USSD) to remain the dominant access technologies in developing markets due to the constraints of mobile phones. Wireless Application Protocol (WAP) will remain the preferred mobile access technology in developed markets, where the mobile Internet is commonly available and activated on the phone. Mobile app downloads and mobile commerce are the main drivers of WAP payments, and WAP will account for almost 90 per cent of all mobile transactions in North America and about 70 per cent in Western Europe in 2011. 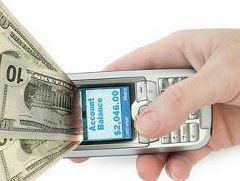 Money transfers and prepaid top-ups will drive transaction volumes in developing markets. These are seen as the “killer apps” in developing markets, where people value the convenience of sending money to relatives and topping up mobile accounts. This is most obvious in Eastern Europe, the Middle East and Africa, where these two services will account for 54 per cent and 32 per cent of all transactions in 2011.